Happy New Year! Let's make a resolution to make a revolution in 2014. If you're a SaaS (Software as a Service) company, it's not that much of a stretch. You are, by definition, disrupting the entrenched, in-house enterprise software industry and causing your own revolution. But there are murky waters ahead as the Empire fights back! How will you continue to grow in natural-fit markets, like technology, entertainment and personal productivity? How will you gain a strong foothold in more traditional industries, like manufacturing, human resources and healthcare? Has the ACA meltdown put a foul taste in the mouths of new subscribers everywhere? According to Gartner, the SaaS market will grow to $22 billion by 2015, up from $14 billion in 2012. Marketing will certainly play a key role in this growth. Let's take a look at some of the challenges ahead and make some predictions. Those of us in the Digital Marketing Industry are keenly aware of the competition for marketing automation and CRM SaaS software with names like HubSpot, Marketo, Oracle Eloqua, Pardot, InfusionSoft, Silverpop, Act-On and many others battling it out in the marketing technology space, while Salesforce, Oracle, InfusionSoft, SAP, Sugar CRM and others go head-to-head in the CRM space. You can see how they stack up here. In these hotly contested, rapidly growing markets, the leaders are also the leaders in inbound marketing, content marketing, social media marketing and CRM use, i.e. they eat their own dog food. In other markets, such as human resource management and recruiting, education, business intelligence, supply chain management and healthcare, content marketing is just getting its sea legs, and vendors are still primarily relying on SEO and paid media to gain share of attention. Prediction: In 2014, more SaaS companies will start to realize the battlefield extends across all of the digital channels and start employing more content creators and marketing technologists to leverage inbound marketing strategies as well as paid media and SEO. They will also begin to realize that novelty is not the same thing as value proposition and go back to the drawing board to better define their buyer personas and understand their needs. Then they will need to rethink those austere web 2.0 websites and provide new visitors with more "meat" on the bones to help differentiate them from their competitors. Are the FREE TRIALS and FREE DEMOS Working? Every SaaS company on the planet has a FREE TRIAL button (or 10) plastered all over its website. The problem with free trials? You are signing up for 7 (or 30) days of (hopefully) intensive use followed by an extended period of "engagement" by inside sales reps trying to get you to sign up for a paid account. Everybody knows this. Does anybody want it? Does anyone have the time or desire to commit to that in-depth review with nothing more than an upsell waiting at the other end of it? The success or failure of free trials is largely tied to customer service to assist registrants through the process and help them understand the benefits. Without that, drop-out rates tend to be high. Are you prepared to commit the resources to follow through on those trial accounts? And FREE DEMOs? How many people have the desire to sit through a 30-minute advertorial hosted by someone who usually can't answer their questions? As George Bush Sr. put it, "not gonna do it." Add to that the fact that all of your competitors have nearly the same offers and their benefit summaries look a lot like yours. Prediction: Smart SaaS companies will offer free software, period. Just sign up and use it. And yes, there's a Web page that shows you exactly what you get for free and what's included in the premium packages. Have fun! If you have any questions, please let us know. Our Support page has everything you need to know to get started and succeed, but if you need more help, one of our customer service reps will be happy to set up a free consultation whenever you like. For new visitors, there's a 90-second video on the home page that explains everything you need to know about our software, and if you want more detail, there are a bunch more of these on our Support page. Is the Saas Startup Dream Over? There are so many cool SaaS products and mobile apps out there now, the novelty has definitely worn off for B2B and B2C consumers. While venture capitalists still apparently believe in SaaS startups, getting them off the ground is a huge challenge in terms of marketing. Word-of-mouth marketing may get you some early subscribers, and maybe your Growth Hacking strategy will attract some developers and testers to your beta launch, but how will that enable you to rapidly capture market share and avoid the notorious "cash gap" in the first few months following startup of operations? You need to think bigger than that and put together a marketing strategy and budget to achieve your goals. Bootstrapping and crowd funding would work great if everybody bootstrapped and crowd funded, but they don't. Your competitors may be well-funded, and their VC's are requiring them to invest in multi-channel digital marketing with all of the bells and whistles. Your goose is effectively cooked unless you follow suit. Prediction: Underfunded SaaS startups will not get very far. There's too much competition from other vendors and for the attention of your potential buyers. There's also pressure from the mobile app world. 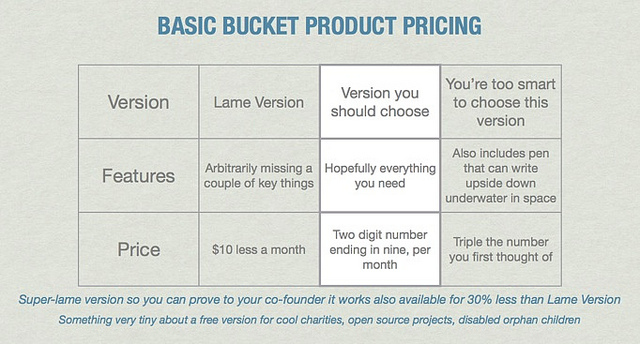 End users expect great, useful products either for free or for a few dollars a month. Getting them to swallow your $200-2000 per month fee will be a big challenge. Smart SaaS companies will focus on defining the uniqueness and value of their product and investing the right amount in marketing to drive early sales and capture market share. How Will SaaS Companies Succeed in Marketing? In case you haven't noticed, there's a big trend in marketing, away from mass marketing and toward a more personalized, more human approach. There are two very important people involved in this transformation. The first is the Thought Leader, someone like Richard Branson, who everybody knows and most people admire. The Thought Leader carries the Brand by being real, thoughtful and magnetic. Richard Branson doesn't sit in his office and count beans. Someone else does that. He's out there on every channel you care to name. Is he pushing product? No, he's just being Richard Branson, and a lot of people follow his every word. The second key person is the Consumer. When was the last time you bought anything without checking out the reviews first? Like it or not, if you want to sell anything, you need to let your customers sell it for you. How do you manage negative reviews? Build a great product and even better customer service. Prediction: SaaS companies will win or lose on the backs of their Thought Leaders in 2014. Ideally, the top dog is the one who should be out front as a thought leader. If your CEO has no personality or ideas to share, maybe someone else can stand in, but smart SaaS companies always lead from the front, and many look for high-profile thought leaders to be the figurehead. Look for SaaS CEOs speaking out in blogs, social media, speaking engagements and charitable causes everywhere. Look for more high-profile personalities in these positions as well. In addition, smart SaaS companies will open themselves up to and participate more in social media forums, SaaS software comparison sites and open discussions on their websites. Transparency, responsiveness and customer reviews will continue to be key differentiators in 2014. Is SaaS Reaching a Tipping Point? I don't know, but a shake out is surely happening. Nearly every SaaS company is highly leveraged with VC money, which means that expectations are high and patience is low. SaaS companies that "get" (and fund) inbound marketing, content marketing, social media marketing and multi-channel demand generation will have a much better chance of surviving the first few months of business than those that do not. Ideas are a dime a dozen, and there are thousands of great ideas sprouting into startups every day, but the consumer world is not kind to companies that fail to deliver on their promises. I predict that 2014 will see more of the best SaaS companies flourish and the pretenders fall by the wayside. How will venture capitalists decide which ones to fund? They will look to the bottom line—and a great marketing plan—and only invest in the best and the brightest.